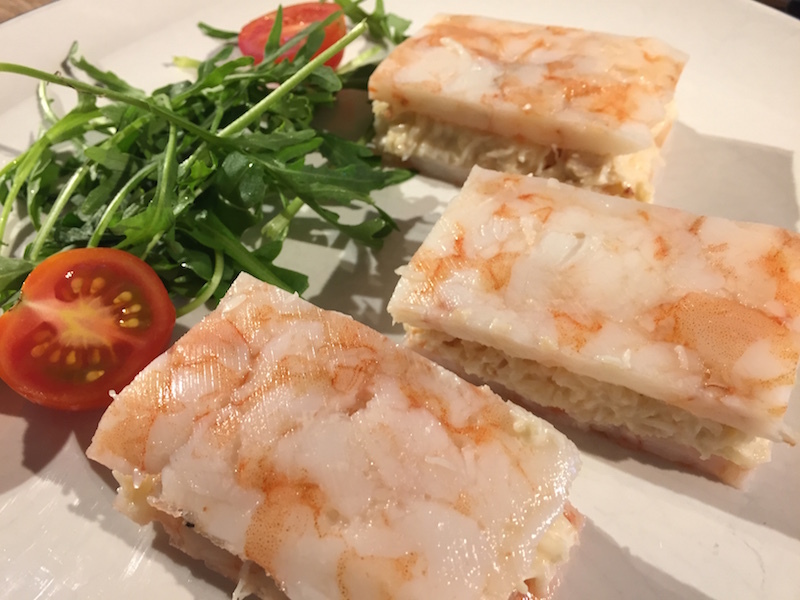 These are Crab and Prawn Sandwiches with a difference – they are a layer of crab, sandwiched between two prawn sheets. I got the idea from the excellent Ideas in Food blog, where they posted about making prawn noodles, using transglutaminase to bind the prawn meat together in sheets. (For those unfamiliar with it, transglutaminase is an enzyme used to bond proteins together). I thought it might be a nice idea to make thicker sheets, and use it instead of bread to make a sandwich. I took some prawns, and mixed them with a slurry of Activa GS. I put the prawns into a sealable bag and smashed them with a meat hammer until they were spread in an even layer throughout the bag. 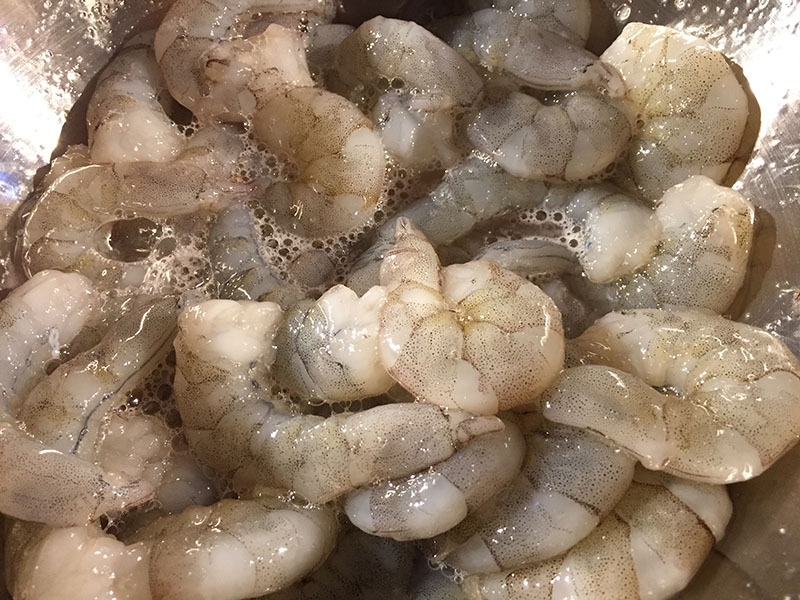 I left the prawn in the fridge overnight for the transglutaminase to do its work, and then cooked them in my Sous Vide Supreme for thirty minutes at 55˚C. 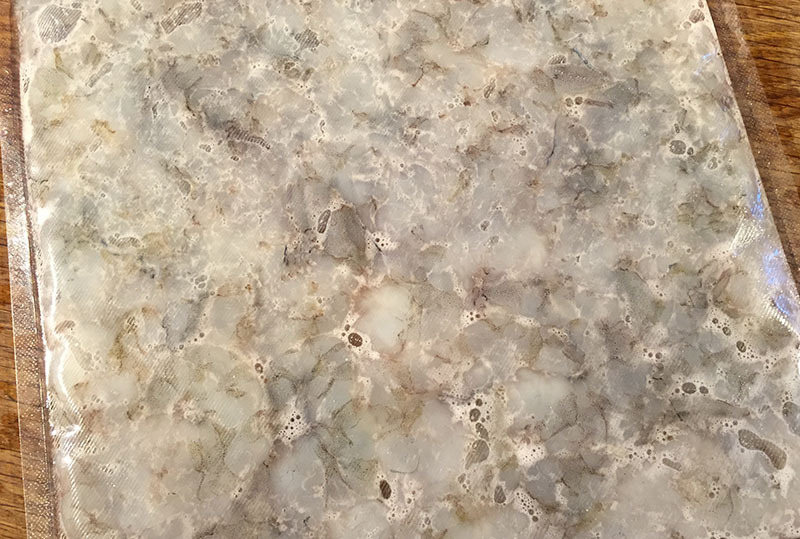 Once cooked and cooled, they were now in a solid block. 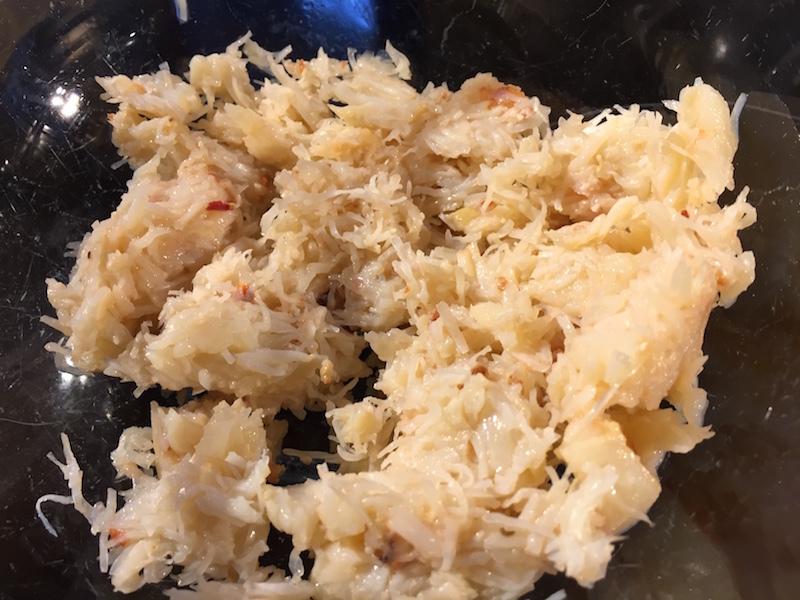 I took some crab meat and mixed it with a little mayonnaise for the sandwich filling. 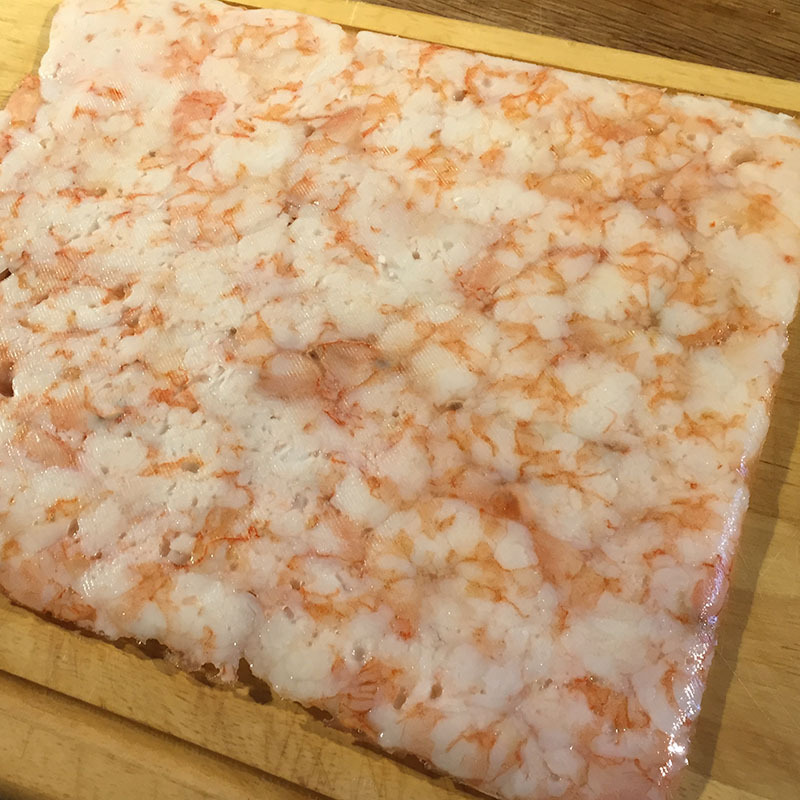 Finally, I cut a couple of squares from the prawn block, sandwiched the crab meat between them, and cut the resulting sandwich into smaller slices. The sandwiches worked out very nicely, but I think the prawn slice was too thick – they were very dense and intensly prawny. I’ll definitely make these again, but next time, I’ll beat the prawn sheets thinner – probably about half the thickness of these – or perhaps even thinner and then try rolling them up with the crab inside, and cut into pinwheels. I’ve still got half of the prawn sheet left, which for now is in the freezer, so I need to think of something interesting to do with that, but that’s for another day. Can you season the prawn sheets? Yes, you can. I left these plain, but I may well experiment a bit with different seasonings.